He further honed his skills after being selected as an Asia Pacific Fellow at The Queen Elizabeth Hospital, Adelaide, Australia from January 1998. Here, Dr. Tapasvi was entrusted with the Adult Reconstruction Surgery services comprising Arthroscopy and Joint Replacement. His talent was recognized and lauded with an appointment as the Clinical Tutor to The University of Adelaide. After returning to India, he began working as a consultant in arthritis, sports medicine, arthroscopy and joint replacement with some of the premier hospitals in Pune - Jehangir Apollo Hospital and Deenanath Mangeshkar Hospital and Oyster and Pearl Hospital. With his healing touch, expert hands and skill that has been honed abroad, Dr. Tapasvi now conducts specialty outpatients clinic with a combined patient load of about 80 patients per day. Surgery and the improvement it brings to his patients has always attracted him, and so Dr. Tapasvi routinely performs complex surgeries and operates daily at hospitals conducting supra major and major surgeries with Total Knee Replacement (TKR), Revision TKR, Total Hip Replacement (THR), revision THR, arthroscopic knee and shoulder reconstructions. He believes in spreading the knowledge that he has himself earned through education and teaching. Currently he offers “Fellowship in Adult Reconstruction Surgery” for 4 deserving surgeons every year. This Fellowship is recognized and accredited by the International Society of Arthroscopy, Knee Surgery and Orthopaedic Sports Medicine (ISAKOS). The deserving candidates are chosen after a detailed interview process. 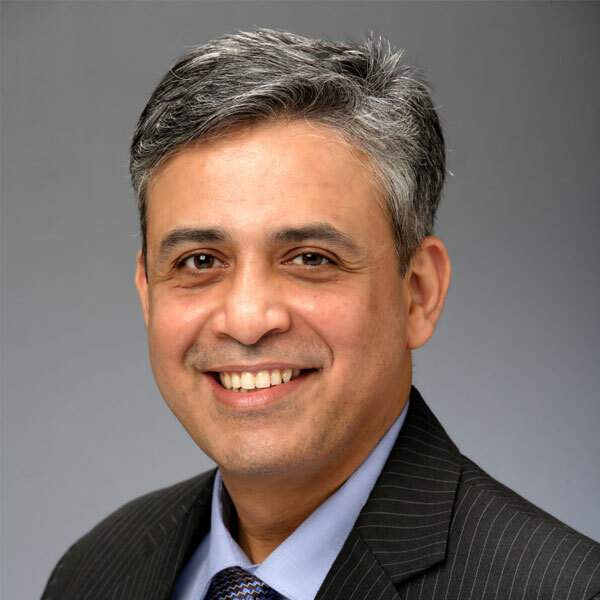 Dr. Tapasvi believes that the quest for true knowledge never ends, which is why he continues to update his knowledge and skills by conducting and attending conferences and continuing medical education programs both in India as well as abroad. His initiative called the Pune Knee Course - an annual educational program since 2011, covering everything in knee arthroscopy, is very well received every year. Dr. Sachin Tapasvi passed out from B. J. Medical College, Pune in 1991. This is a four and half year course under the aegis of Pune University. Dr. Tapasvi stood first with Gold Medal at the MBBS exams in the entire Pune University with Distinctions in Surgery and ENT. This is a three year post graduation course of the Pune University conducted at the B. J. Medical College and the Sassoon General Hospitals in 1995. Dr. Sachin Tapasvi stood first with Gold Medal at the MS faculty examinations of the Pune University. Dr. Sachin Tapasvi successfully passed the Diplomate of national Board examinations conducted by the National Board of Examinations, New Delhi in 1996. This degree was awarded to Dr. Sachin Tapasvi by the National Academy of Medical Sciences, New Delhi, upon successful completion of the DNB examinations and MS examinations at the first attempt with meritorious stature. This was awarded to Dr. Sachin Tapasvi by the Australian Orthopedic Association and the Royal Australasian College of Surgeons on successful completion of my Fellowship training in Australia from January 1998 to July 1999. Dr. Sachin Tapasvi is working as a Consultant in Arthritis, Sports Medicine, Arthroscopy and Joint replacement with the two premier hospitals in Pune - Jehangir Apollo Hospitals and Deenanath Mangeshkar Hospitals and Oyster & Pearl Hospitals. He conducts specialty outpatients with a combined patient load of about 70 patients per day - from Monday to Friday. Dr. Tapasvi also have his personal consulting rooms in Pune. Dr. Sachin Tapasvi operate daily at either hospital conducting supra major and major surgeries with TKR, Revision TKR, THR, revision THR, Arthroscopic knee and shoulder reconstructions as the main surgical procedures. Dr. Sachin Tapasvi worked as an Associate Lecturer in Orthopedics at the MIMER Medical College and Talegaon General Hospital, Pune. This was a clinical position with a teaching assignment for undergraduates. Dr. Tapasvi was entrusted with the responsibility of conducting outpatients, specialty services, operating and teaching on a daily basis. Asia Pacific Fellow at The Queen Elizabeth Hospital, Adelaide, Australia. This was a Level 4 registrar position with the North Western Adelaide Health Services in a teaching hospital. I was entrusted with the Adult Reconstruction Surgery services comprising of Arthroscope and Joint Replacement. I was also appointed as the Clinical Tutor to The University of Adelaide during this appointment. Dr. Sachin Tapasvi was Lecturer in Orthopedics at the Bharati Vidyapeeth Deemed University's Medical College and General Hospital, Pune. This was a teaching position for undergraduates and post-graduates. Dr. Tapasvi would be entrusted with the responsibility of conducting outpatients and looking after inpatient care. I would also be running a surgical theatre three times weekly and doing classroom teaching twice weekly. Dr. Sachin Tapasvi worked as Clinical Associate to Dr. A. V. Bavdekar, Mumbai. Dr. Bavdekar was the premier authority in India for Primary and Malignant Bone Tumors and Spine Surgery. Dr. Tapasvi had the unique opportunity of working with Dr. Bavdekar and getting a vast exposure to these difficult and unusual problems. Dr. Sachin Tapasvi worked as Arthroscopy Fellow to Dr. V. B. Bhasin at Sir Ganga Ram Hospital, New Delhi. This was a Fellowship dedicated to arthroscope. Dr. Sachin Tapasvi worked as a Post-graduate student at the Sassoon General Hospitals and B. J. Medical College for my Master in Surgery program of the Pune University. This was a teaching position for undergraduates approved by the Pune University. Plating for displaced clavicle fractures. Injury. 2000.